Other Facebook and Twitter there are many other largest social giants growing rapidly. These huge micro blogging sites are awash with popular stars, famous personalities, discussions, interactions and feature content beyond that. They are a great platform to take your level of thinking to next step in sharing your ideas and thoughts and thus enhance your network. It is necessary to manage your social accounts whether you are updating from your native accounts or from any free or paid apps. Choose your apps wisely depending on how well you interact with your followers or likers, how busy your account is, what devices you use for interacting and also the budget. Here are some three best life saver apps that help manage your posts the way you want to whether you are a developer, employee or homemaker. 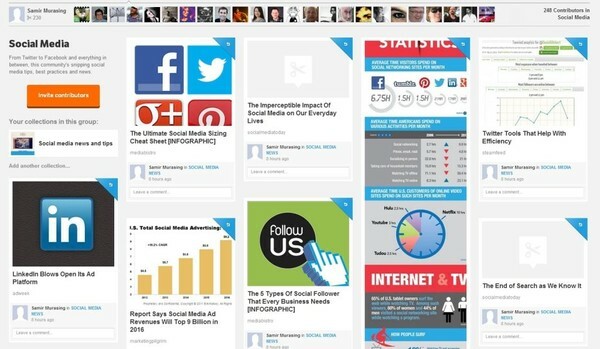 Try out these following social media tools and apps with great features for everyone! Hootsuite is a complete social management tool that allows users to sync all social accounts like Twitter, Facebook, LinkedIn, Google+, Myspace, Foursquare, and WordPress. It can be considered as a perfect tool for corporate users as it allows many business networks to be managed. This is a tool that helps you to keep track of varied accounts as well. Apart from these common social giants Hootsuite helps you to manage Mixi (a Japanese social network), StumbleUpon, Instagram, Tumblr, Evernote, Flickr, Reddit, Vimeo, Slideshare and many more. It is really difficult to address all of them in a single stretch as it is that flexible. The best feature of Hootsuite is that you can add more than even one of the same network, especially if you want to manage multiple social channels. Hootesuite is mostly recommended to manage your social media businesses as it has the ability to delegate responses to different team members and conveniently handles team management facilities. Its messaging feature is another add-on and allows team members to share private messages with each other. Buffer is a social media app that helps you to share the valuable content you find in a smarter way than earlier of. Buffer helps you to schedule your posts or tweets spread throughout your day and you need not go on an updating spree when you have lots of content to share. There are no more downloading or uploading nightmares when you want to share images or videos all through your social networking sites. Using buffer you can just right click on the image or video you want to share and choose ‘buffer this image’ option to post them. One feature is to optimize your buffer timings to share your tweets/posts which indirectly help you in analyzing the tweets/posts you share and thus giving you insights of your tweets, shares and number of likes you received. 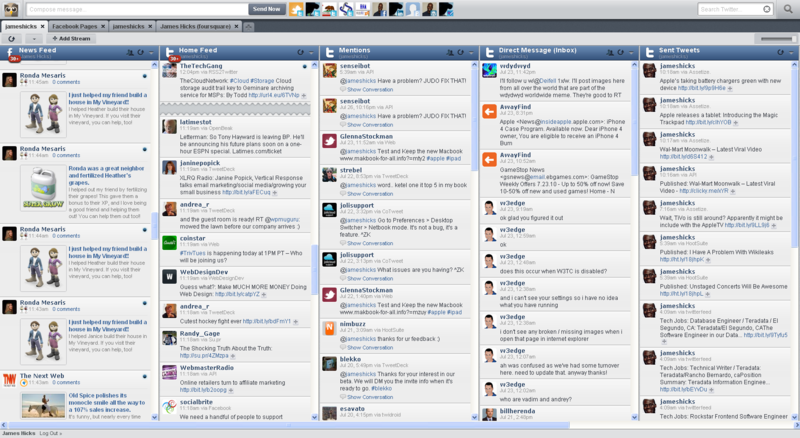 Another lesser known feature is that using the buffer button browser extension you can share any page in seconds. This app is available for both iPhone and Android users and sharing is made more quicker and easier. You can also use buffer from your favorite news reading apps like Flipboard, Zite, Reeder, Pocket, Deedler, Digg and many more apps. If you are on mobile and can’t use your iPhone or Android app you can also simply email your updates. If you don’t want to schedule your posts simply go to the Buffer web app, under schedule and click on all green days. If it’s grey it implies that you aren’t posting any updates on those respective days. There are tons of ways to use this application and it really is one of the best apps with many features. If you are a prominent face on social sites within your circles and want to measure your social strategy then Visibli is for you. 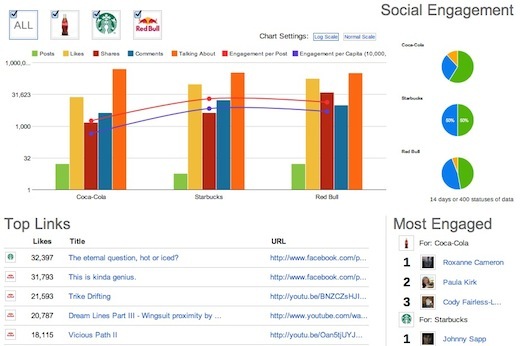 It is a social marketing and analytics platform and helps companies to optimize their social media engagement. It provides users with content, ecommerce opportunities to promote their products, and help creators to expand their horizons and promote their business through shared links. Visibli is a platform which enables its users to understand what followers are engaging with and thus target those followers based on their common interests. Visibli lets you create custom sharing bar that has your name, other social sharing icons, as well as links to your websites. One can also enable a tweet button or facebook like button to engage with your twitter and facebook audiences respectively. Visibli has been growing in popularity since 2011 as it provides real time analytics. It can be connected to your desktop based apps like Tweetdeck or Seesmic, can be installed as a bookmarklet on your browser bookmark toolbar, or also on your browser for outgoing links. There is another online tool called Klout to measure your social presence and offers the same what Visibli does. Besides these, there are many other social media apps that gauge your online presence and help you interact with web on a continuous work progress. Please feel free to share your valuable views via the comments section. Very informative post. Except Hootsuite, all are new to me. Surely I’ll try Visibli very soon, as I like the features of the tool. Thanks for the share.